"ARTIFICIAL INTELLIGENCE: The Bridge between Data and Personalization"
Today, artificial intelligence (AI) has become one of the most powerful marketing tools by actually delivering on the promise of 1:1 marketing. Instead of merely pushing the key marketer challenges further downstream, AI actually overcomes them. Using advanced machine learning algorithms, AI technology solutions are being built to take over most of the tedious and time-consuming tasks that marketers struggle with on a regular basis. 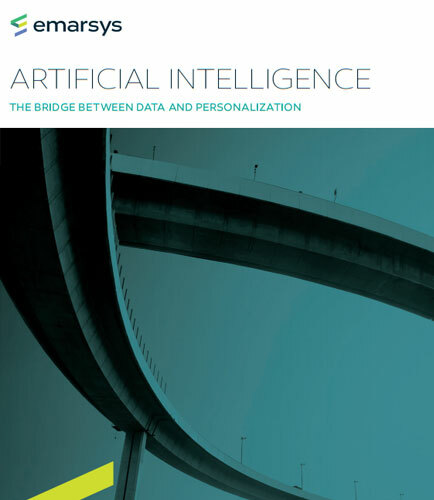 This whitepaper provides insights on how artificial intelligence helps to fulfill the vision of true 1:1 marketing by bridging the gap between data and personalized customer experiences.